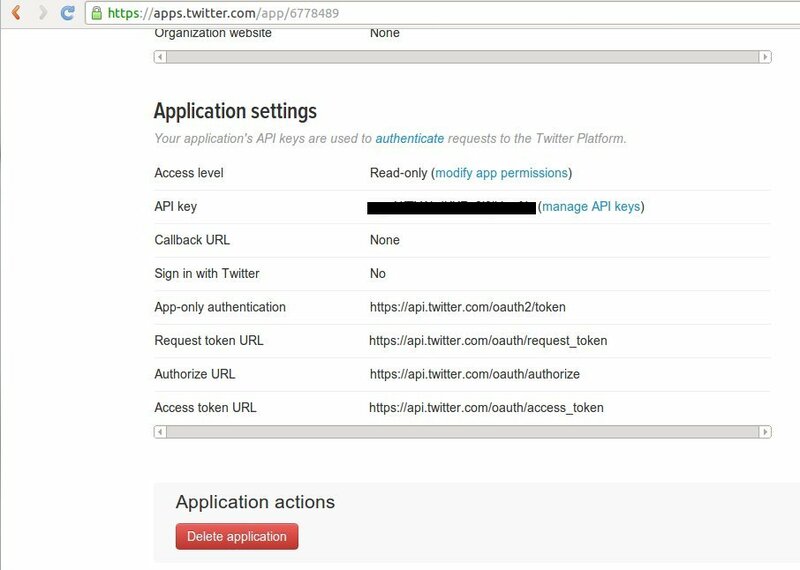 Point your browser to http://apps.twitter.com, login with your Twitter username and password and then from the dropdown menu under your username, click on create a new application. After you fill the details required here and hot submit, you will end up with following. You also need to generate Access keys from this page. 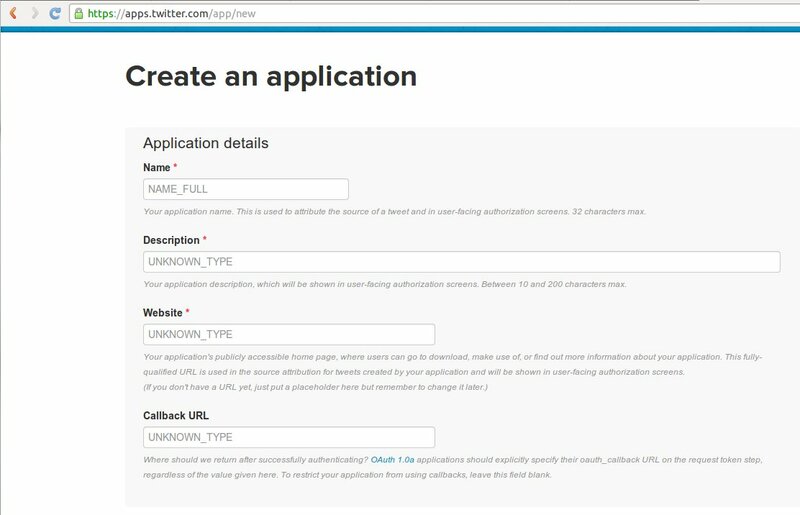 Download Twitter API authentication library from Github with the following command. Following code is used to create the application(in PHP). Make sure your filename is same as you mentioned in the url name when you created API keys for your application. You may view the live demo of the application here.